All advertised vehicles are subject to actual dealer availability. Certain vehicles listed may not be available, or may have different prices. Prices exclude state tax, license, document preparation fee, smog fee, and finance charges, if applicable. Vehicle option and pricing are subject to change. Prices include all dealer offers and dealer incentives. Pricing and availability varies by dealership. Please check with your dealer for more information. Prices do not include dealer charges, such as advertising, that can vary by manufacturer or region, or costs for selling, preparing, displaying or financing the vehicle. Images displayed may not be representative of the actual trim level of a vehicle. Colors shown are the most accurate representations available. However, due to the limitations of web and monitor color display, we cannot guarantee that the colors depicted will exactly match the color of the car. Information provided is believed accurate but all specifications, pricing, and availability must be confirmed in writing (directly) with the dealer to be binding. Neither the Dealer nor Dealer Inspire is responsible for any inaccuracies contained herein and by using this application you the customer acknowledge the foregoing and accept such terms. Price does not include dealer added options. 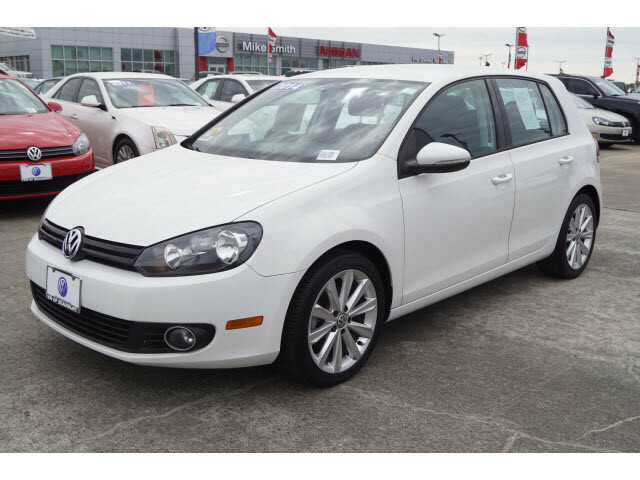 We are excited to offer this 2014 Volkswagen Golf. The Volkswagen Golf TDI speaks volumes about it's driver, uncompromising individuality, passion for driving, and standards far above the ordinary. It's exceptional fuel-efficiency is a clear sign that not all vehicles are created with the same standards. This low mileage Volkswagen Golf has barely been touched. It's the next best thing to buying new. There are many vehicles on the market but if you are looking for a vehicle that will perform as good as it looks then this Volkswagen Golf TDI is the one! More information about the 2014 Volkswagen Golf: While the Volkswagen Golf costs a bit more than many rival models, it also feels more sophisticated and refined in general. Especially in TDI form, where it gets the gas mileage of a hybrid with an eager, responsive driving feel that they can't match. 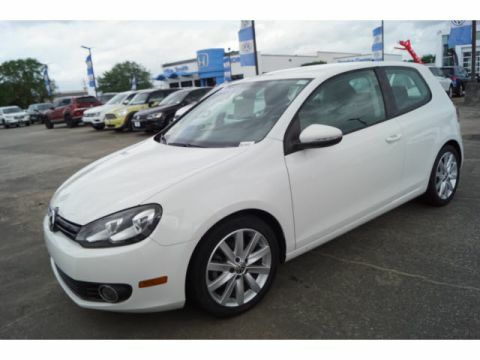 The Golf TDI's gas mileage of up to 42 mpg also enables a driving range of 600 miles or more. In addition, the Golf remains a high-value choice for those who live in tight urban areas and need a car that maneuvers well and parks easily but also comes with more equipment--and a more upscale feel, overall--than many other efficiency-minded small cars. This model sets itself apart with Impressive fuel economy in the TDI, easy to maneuver, upscale interior look and feel, quick, responsive driving feel, and hatchback versatility and space-efficiency We look forward to seeing you soon! Please call us for more information. 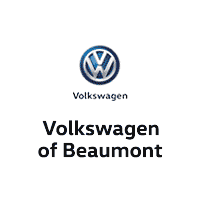 Volkswagen of Beaumont invites you to visit our fantastic VW dealership in Beaumont, TX. 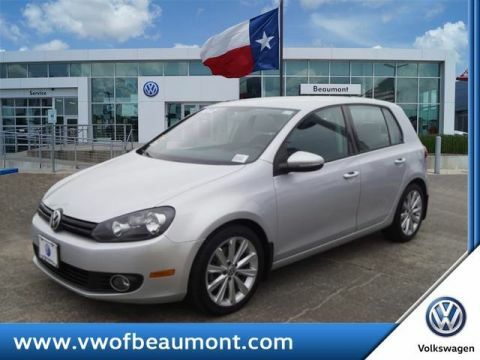 Our knowledgeable team members are ready to provide you with some of the best Volkswagen sales, service, parts, and accessories in the Beaumont area. 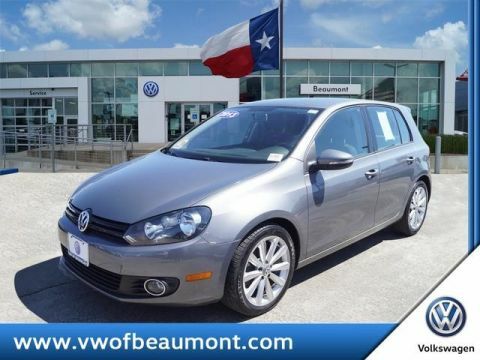 Volkswagen of Beaumont is dedicated to providing you with an ownership experience worth raving to your friends about.